The bike is pretty much stock except for a few items. The mirrors are black shorty versions that look good on the bike, but are not at all usable. They provide a great view of my arms and torso. I changed them back to the stock chrome units. 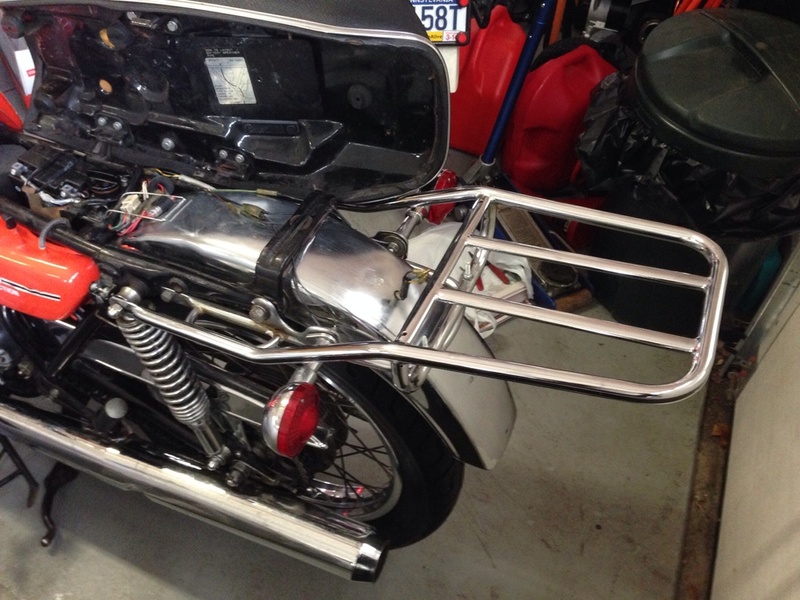 At the rear of the bike, I installed the factory chrome luggage rack. It takes a little away from the sporty stance, but it looks great and is practical. A small Nelson Rigg tailback that I have had for ages seems to fit the rack well.